This gigantic mod from Vapeoholica is a mod of superlatives and offers the experienced vaper a high-end quality and powerful, innovative functionality. Vapeoholica has so far been known mainly for its "no-coil killer" liquids and is also embarking on hardware development with the Hellraiser Mech Mod. They have succeeded in creating a true masterpiece of perfection, which is only something for the professionals among the vapers. The design is unique and absolutely stylish, the materials used are of high quality. 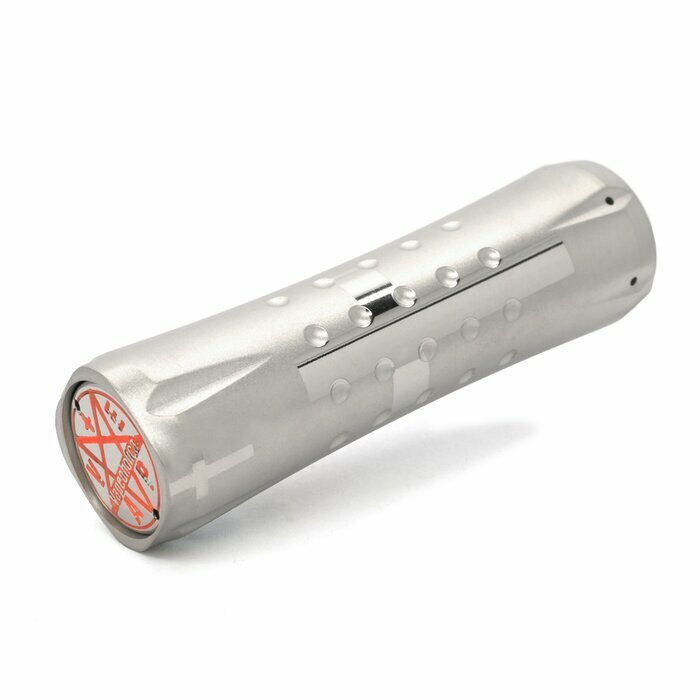 The Hellraiser Mech Mod is delivered in a robust hard case including certificate of authenticity and various accessories like e.g. an adapter sleeve and a key fob. 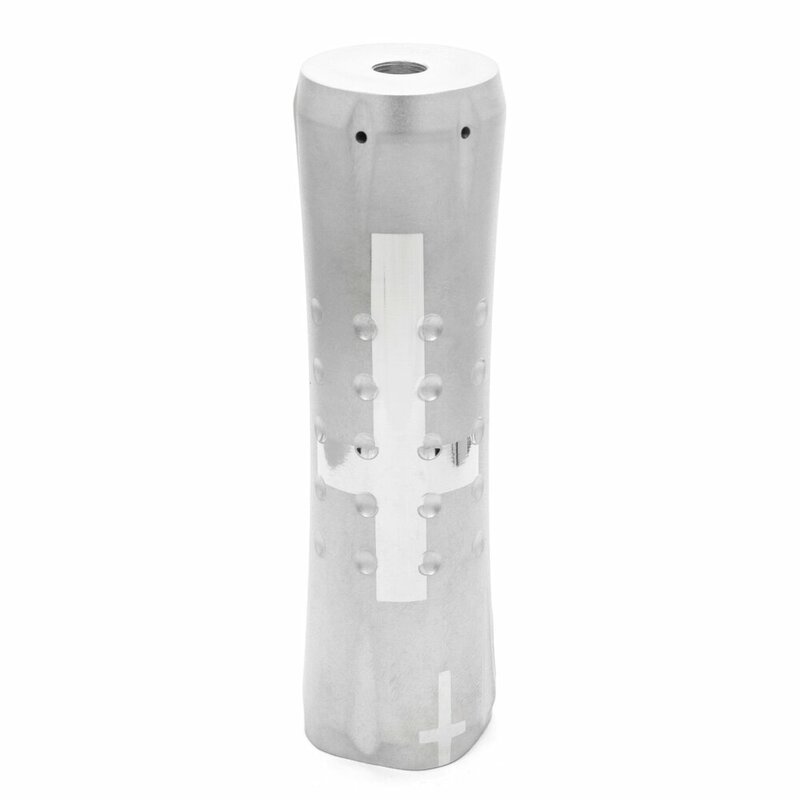 The Hellraiser Mech Mod is suitable for atomizers with a diameter of up to 25 mm, but due to its shape even narrower atomizers with 22 mm, for example, look good on it. However, the optical and functional highlight is the button of the Hellraiser Mech mod, which has engraved the Vapeoholica logo and provides great feedback. Suitable batteries are 20700er (highdrain) and 18650er (highdrain) with the supplied 18650 adapter. All in all, with the Hellraiser Mech mod, Vapeoholica has made a great entry into hardware development, having developed a Mech Mod that does not have to hide from the competition in any way.